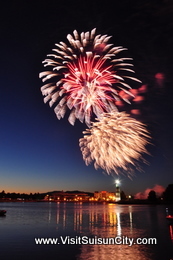 Celebrate America's birthday at Solano County's best Fourth of July celebration with free live music, craft vendors, family entertainment and a huge fireworks display over the Waterfront,made possible through major sponsorship by TNT Fireworks. Plus, the best collection of independent restaurants in the region! This signature event offers a fun, safe, family celebration of America’s independence.